One of my favourite things about the holidays is to be able to give gifts to my friends and family. I love seeing their faces light up with excitement. It feels so good to give. To me, the holidays are about giving – giving gifts and also, helping out those less fortunate. If given the opportunity, I will always make an effort to try and lend someone a helping hand. Thanks to a new promotion between TOMS & Target, we will have another opportunity to do some good this holiday season. TOMS and Target are teaming up with a new limited edition collection for the holidays. Of course, you can expect to find the popular TOMS’ slip-ons (they are so comfy! ), but you’ll also discover home goods and apparel + accessories for women, men and kids. This program follows the TOMS One to One model so with every item you purchase from this collection, you will also be giving back to someone in need. It’s really a win-win whatever way you look at it. Starting on November 16th, for every TOMS-Target Limited-Edition gift you buy, TOMS & Target will be donating a pair of shoes, a meal and cozy, warm blanket to people in need. Not only will you be making a friend or family member smile with a gift, but you’ll also be bringing joy to others down on their luck. 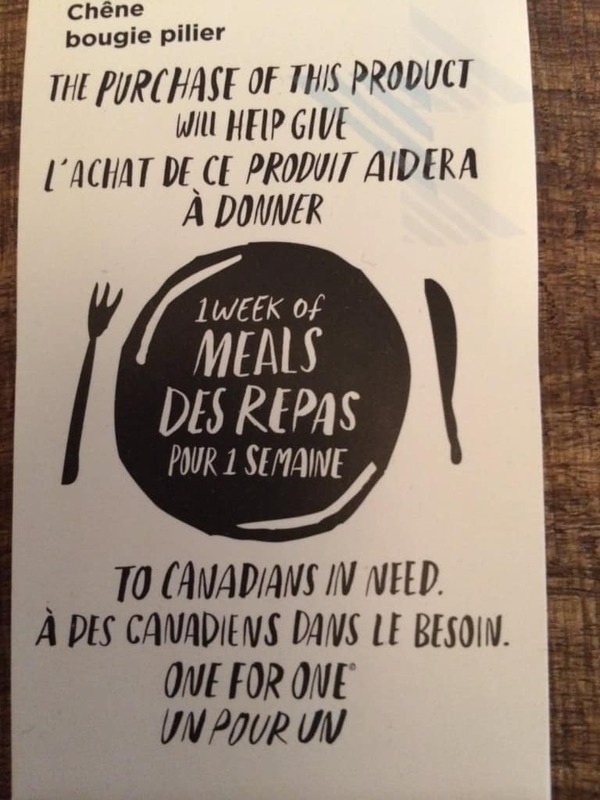 Plus, You’ll be helping out Canadian families. For each item purchased in the collection, one of the three scenarios will happen: Target will make a monetary donation for the equivalent of a week’s worth of meals to Food Banks Canada or a blanket to the Canadian Red Cross or TOMS will give one pair of shoes. You can check on the product packaging for details on which donation will occur with your purchase. This program has a huge potential to do good and provide more than 11 million meals, blankets and shoes to people in need. That is HUGE! Watch this video with Blake Mycoskie, TOMS Founder and Chief Shoe Giver, to learn more about the origins of the One for One model and to learn more about the TOMS for Target Holiday collection. The TOMS for Target collection features more than 50 products, each under $50. These products will be available at all Target stores in both the USA & Canada and also online at Target. I took a peek at the collection and have bookmarked a few items that would be perfect gifts for friends and family members. I may even pick up something for myself too. I love that each item also shows how you will be helping with your purchase. 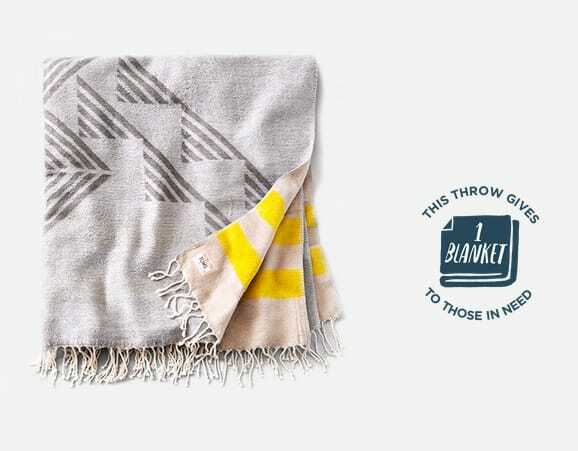 For instance, if you buy a throw, you will be giving 1 blanket to a person in need. Mark November 16th on your calendars and head to Target to start your holiday shopping! I love knowing that my holiday shopping is making a difference. Connect with TOMS on Facebook, Twitter, Pinterest, Tumblr, Instagram and Google+. Connect with Target Canada on Facebook, Twitter, YouTube and Instagram. Follow along on social media with the hashtag #TOMSforTarget. I love the work that you do. I also love giving as well. I go to Toronto often for doctors appointments and every time I go I make sure to pack at least 3 “goody bags” for any homeless people I come across. I pack the goody bags with a toothbrush, toothpaste, soap, a couple granola bars, lipbalm, and anything else I can think of at the time. I try to do this every time I go to Toronto. I just love making people smile. That Target and TOMS combo is such an amazing venture. I definitely will check it out instore. I wish you did it for the USA too but Canada needs giveaways too. I love this campaign Stacie. I had no idea about the back story of Toms! I love that there are home decor items too! I am so impressed with what you do!!! Good job!!! I really hope this becomes a contagious act of kindness to give everyone’s life a better quality and meaning. I love the videos, what a great concept by Toms, they sell a pair of shoes and for each pair they sell they give a pair to someone in need! That’s cooperation!